Whenever we purchase a product from a shop we get a receipt that includes seller’s name, product name, purchased date and time, price and other information. This is known as a sales receipt. It is a proof of product purchased also used for tax preparation. 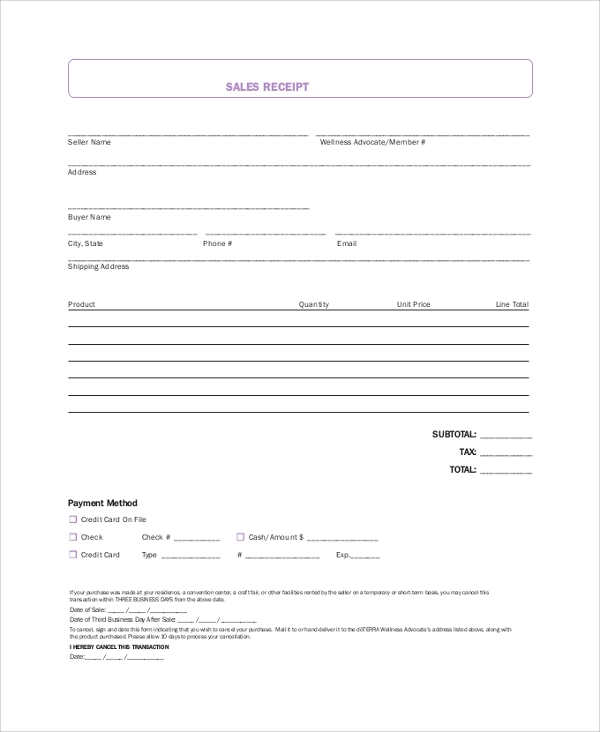 Have a look at below sales receipt samples and templates for preparing a custom sample sales receipt. Also, if you need help in sales planning then explore Sales Plan Sample. 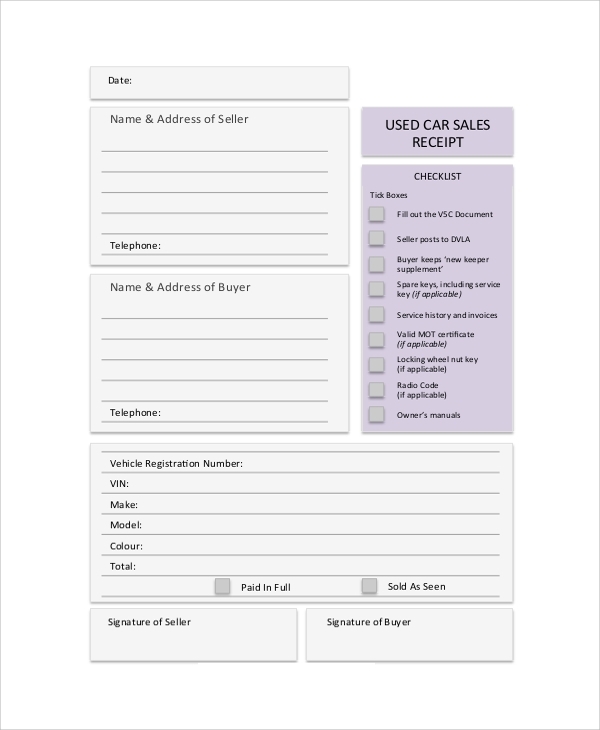 Car Sales Receipt Template PDF is a basic and descriptive receipt form. Customize the template using digital software or prepare a custom car sales receipt by adding all necessary and must input fields like Date, Seller’s name, contact details, Car/Motor information etc. 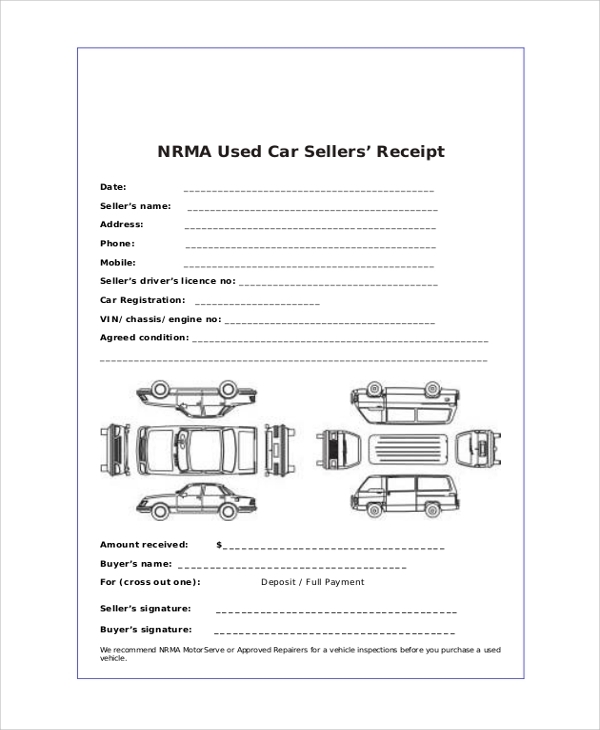 Vehicle Sales Receipt PDF is an editable document. 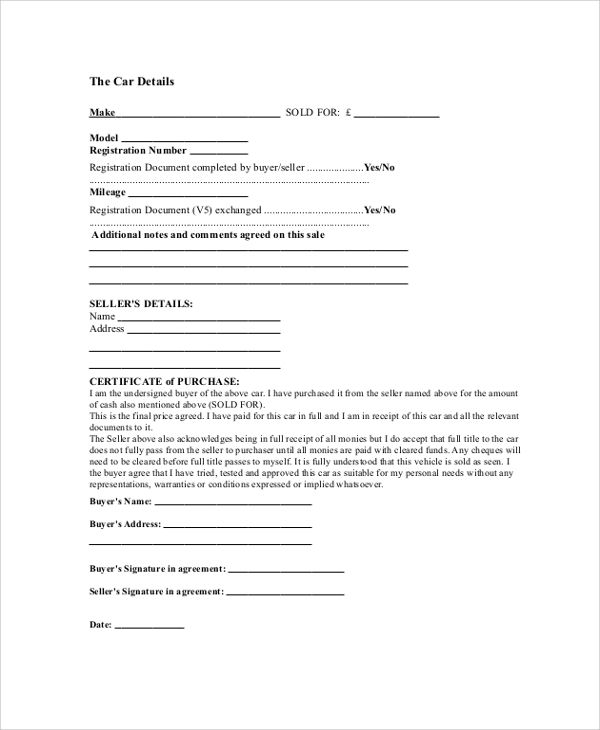 Fill the form including seller’s and buyer’s information. Take a printout, sign it, and make it a legal document. 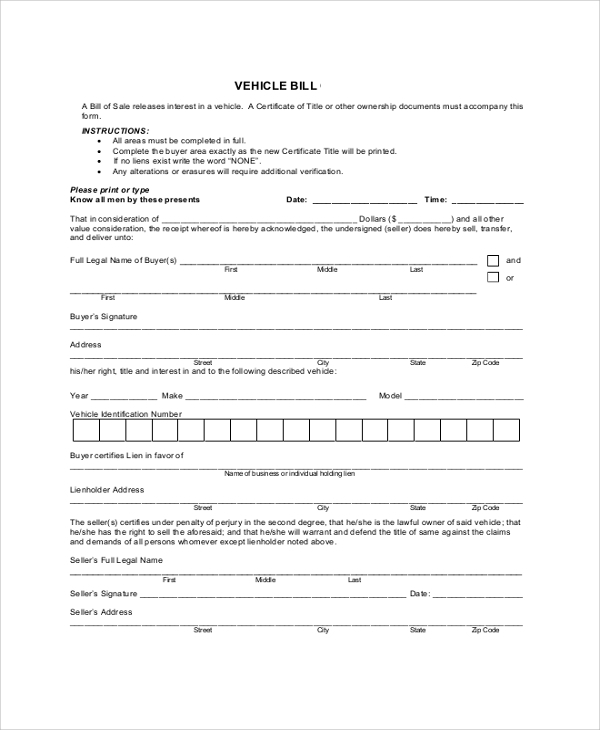 This document is helpful for sellers and dealers who deal in motor vehicle business. 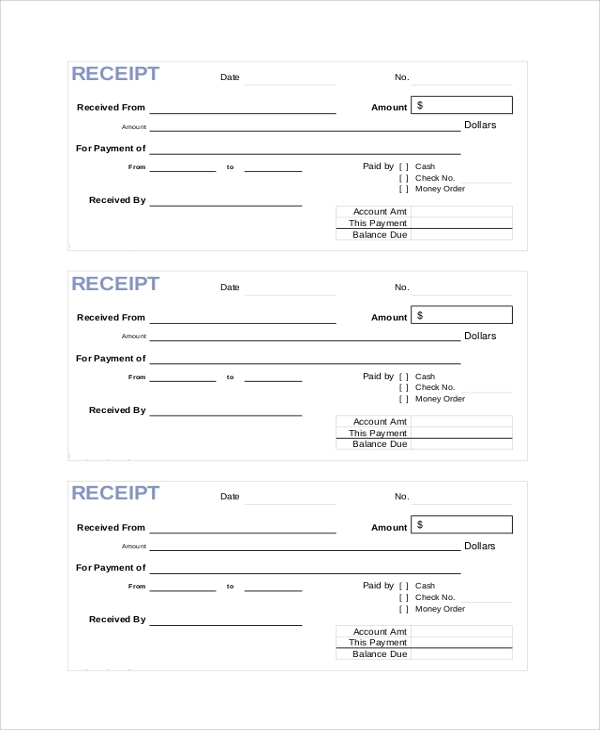 House Sample receipt is a print-ready customizable PDF document. It can be used by sellers for in-house sales receipt production. Download the PDF and take benefits of custom receipt maker document. 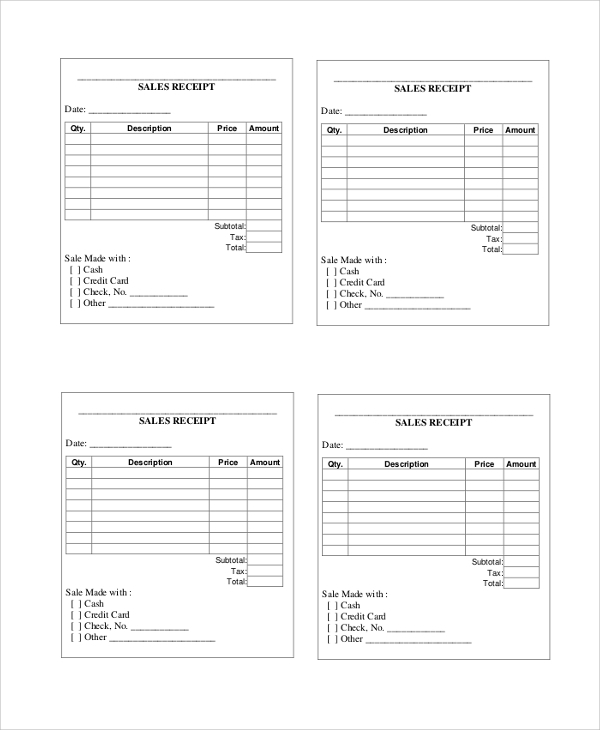 Fill necessary sales details and take quick print-outs. If you are a seller who provides home delivery then download Sales Order receipt PDF. This document is the simple and print-ready paper for filling sales information and buyer’s contact details including shipping address. As per the law, whenever buyer-seller make a deal then a buyer should take a Sales Receipt from the seller. It helps them to record purchasing date, product name, guarantee/warranty, seller’s name, and other things. Also, it is a proof that the seller has sold the item to the buyer. So, it leaves no space for frauds and cheatings. Many companies ask for receipt during refunds/returns and exchanges. So, you should have the receipt to present it as a proof that you have purchased the product and reserves the ownership. Also, the sales receipt is used in tax preparation. 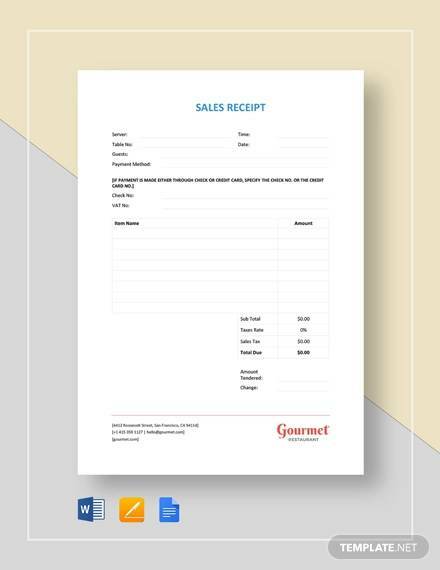 Our sample sales receipt templates and examples are useful for businesses, mediators, and product sellers such as showroom owners, shop owners etc. 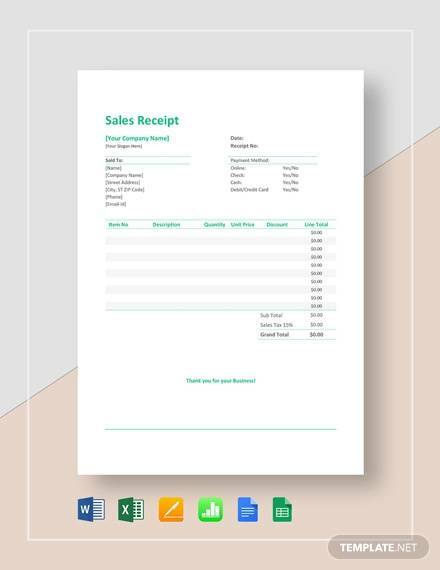 You can customize the template using digital software for making custom sales receipt. Sales receipts are counted under legal documents; it can be used as a proof at various instances. A sales receipt ensures customer’s rights and provides full ownership to the product leaving no excuses for claims and other risks. It is used as a document while preparing company’s balance/accounts sheet. It helps customers to get concession in taxes. Sales receipts also help in making claims, returns, exchanges and parts replacement. Our sales receipt samples are keen and simple design. You can make similar receipts using MS-word and other easily available digital software. 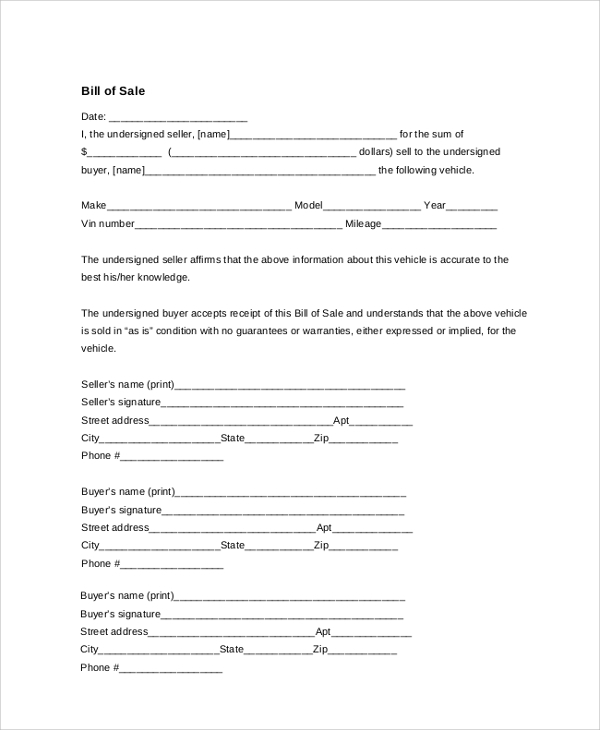 Prepare custom sales receipt using our Sales Contract Sample example documents.